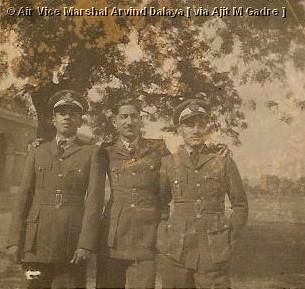 Air Vice Marshal Arvind Dalaya , 4025 F(P), AVSM, VM., was commissioned into the Indian Air Force in 1951 at the age of 20. 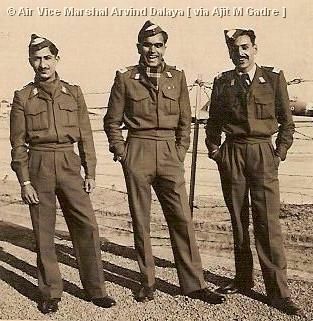 He was one of the first fighter pilots deputed to form the nucleus of the IAF's helicopter force. 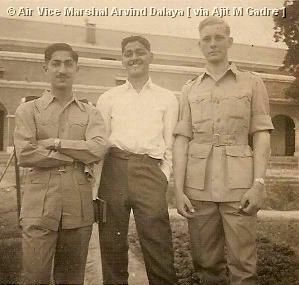 He would raise the 114 HU , which would later make its mark in Siachen, and would also serve as AOC, J & K before his retirement in the 80s. 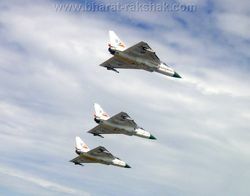 During our training, there was invariably a fatal accident on fighters on the same base on Saturdays. This was very demoralizing to cadets. 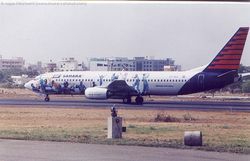 It appeared that Ambala was jinxed on Saturdays. It was therefore decided to observe Saturday as a maintenance day instead of Monday. 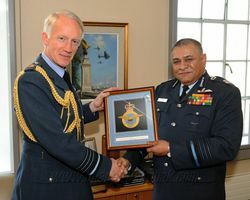 Only 23 cadets and 2 Naval Officers received their wings. 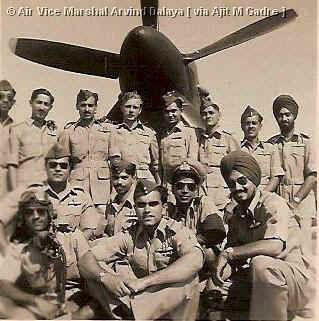 Out of the 23 cadets, 7 subsequently died due to flying accidents and other events while serving in the Air Force. 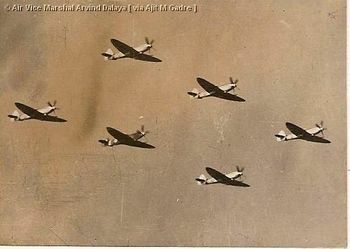 Although I never served in a Spitfire squadron, I did realize my dream of flying that aircraft.The Spitfire was a sleek, streamlined airplane. I felt like I was a part of the aircraft. When you climbed in the cockpit, you found it was rather cramped though all controls were within easy reach and the visibility was fairly good. During takeoff, while increasing power, the Merlin engine of the Spit XVIII gave tremendous power and the whole aircraft vibrated immensely. In no time the aircraft was airborne. 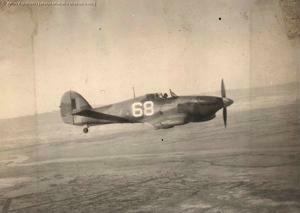 The Spit was extremely maneuverable, especially in the turn and it was a great pleasure to fly. Copyright © AVM ARVIND DALAYA & AJIT M GADRE. All rights reserved. Reproduction in whole or in part in any form or medium without express written permission of © AVM ARVIND DALAYA & AJIT M GADRE is prohibited. 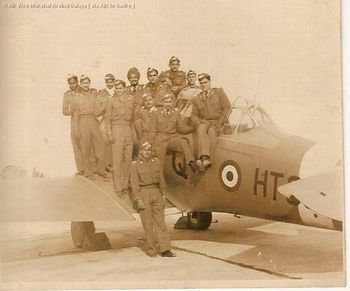 Group photograph of No. 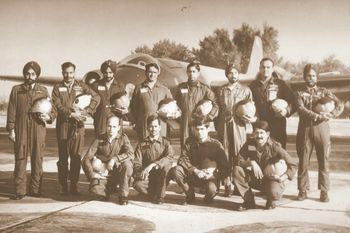 54 pilot’s course at Ambala in early Sept. 1949. 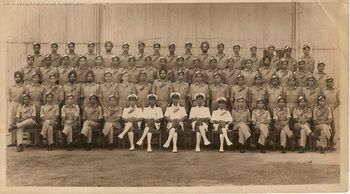 There were 84 of us including 5 Naval Officers. The pencil marks indicate those who failed to make the grade. 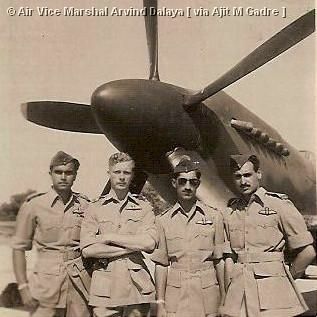 No 14 (Spitfire) Squadron based at Ambala in 1951.